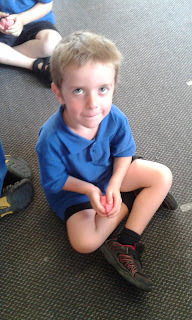 This week the letter of the week was C! 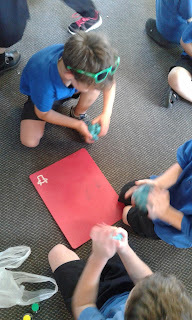 On Tuesday we went into the kitchen and did some cooking to help us remember the letter c sound... c, c, c.
We cooked playdough because we needed some new playdough in our classroom to make alphabet letters and numbers. 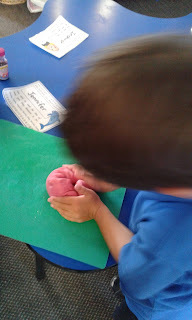 We each had to help with the cooking process and at then end we each got a ball of playdough to squeeze. 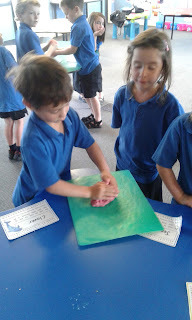 We had to squeeze all the food colouring through the white playdough to make it coloured. 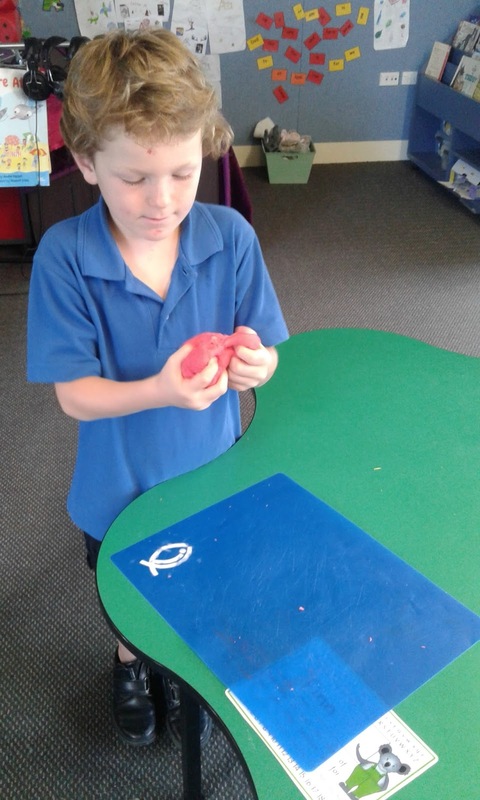 We had a lot of fun cooking playdough and look forward to using it in our classroom to help us learn our alphabet letters and numbers! We had so much fun squeezing our playdough! 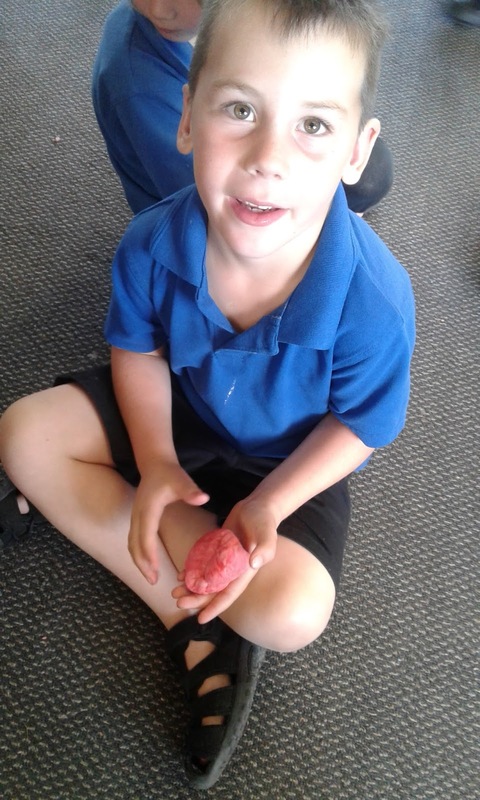 My playdough ball is red! 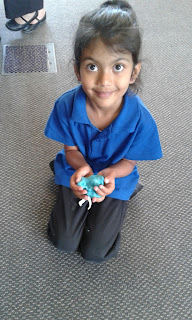 My playdough ball is blue! It was so warm on our hands when we started squeezing it because it had just come out of the pot!